How your database can bring you consistent, quality market appraisals. Try this instead: work backwards from the number of market appraisals you need to hit your targets, based on your conversion and retention rates. Get the right number of valuations and you’ll inevitably get those instructions and completions. It’s all about getting through more doors. But how? Your list, or database, is your most valuable asset. Or can be. Let’s estimate that around 3% of properties are on the market at any one time, so if you cover an area that has say, 10,000 chimneypots, you can expect around 300 of those properties to be actually on the market at the moment. However, there are a further 12% of people considering buying, selling or otherwise moving within the next 12 months or so. So let’s apply this practically; say your target is to add £100,000 in new revenue to your business over the next twelve months. Keeping the numbers simple, if your average sales fee is £2,000, you’ll need 50 new instructions. If your conversion rate is 50%, you will have to generate 100 market appraisals. If we assume that 15% of people are either on the market, or considering it, then you would only need a database of 667 people, to reach 100 potential clients. There are some complications though; you’re not the only agent in your town, right? There are probably 20 competing agents, of whom you are one, or 5%. This means that stastically, you’ll get invited out one in seven-ish times, or to 14% of all market appraisals in the area, and win 7%. In this case, you’d need 6,667 on your database. If however, someone is on your database and gets regular contact from you via a newsletter, regular email tips, or courtesy calls, you are much more likely to be invited out, than an agent who does not use regular communication as part of their marketing strategy. Let’s say the likelihood of being invited out to give a valuation is doubled if that person is a warm lead. That means you only need half the number of people on your database – provided you keep in contact with them on a frequent and consistent basis – in order to make your numbers. Now we’re down to needing a pool of people that is only 3,334 strong to get 100 market appraisals, 50 instructions, and add a cool £100k to your topline. You may already have a database of 3,000 or more, but many of those names are old, out-of-date, no longer in the area or just not relevant. Databases are like plants, you have to feed and nurture them, and, as Prince Charles advocates, actually talk to them. Keeping your database fresh and replenished is important and a priority marketing activity in your business. Without an active database of fresh leads, your business can wither and die, and you may find you’re doing more work for increasingly less success, year on year, as your competitors eagerly woo the clients who should have been yours. So how do you get new people on your database on a consistent basis? And what do you do with them when you have them? 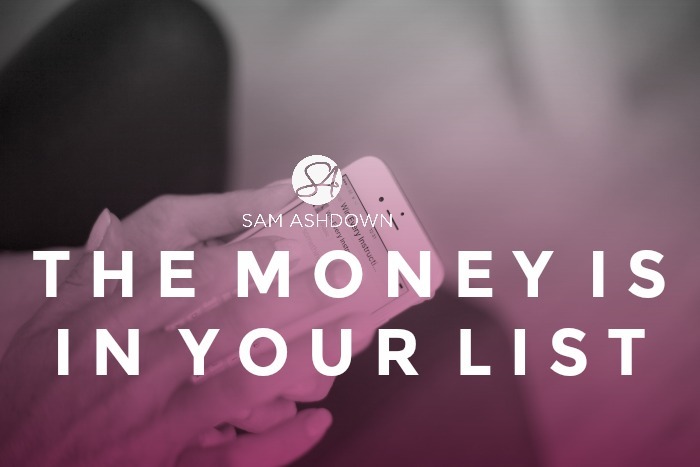 It’s all about having a list building strategy, and that’s something I can help you with. I’d love to have a chat with you to talk you through my system, and show you how you can build a list of engaged, quality vendors and landlords. Just tell me about your business here, and we’ll get your call book in. Really looking forward to talking to you. What to read next: What, no stock?